Last week was perhaps one of the busiest weeks I’ve had in a long time, in large part due to Crime Victims’ Rights week (more on that next week), causing me to fall a bit behind on my Camp NaNo hourly goal. Nothing I can’t make up, though. And Saturday’s all-day event made it worth it. Book in a Day, put on by Rocky Mountain Fiction Writers, was an all-day event in beautiful Golden, CO. Although, to tell the truth, I didn’t get to see beautiful Golden because I was in a conference room all day with nary a window. But, again, it was worth it. The event began with Stuart Horwitz, founder of Book Architecture, a firm of independent editors, and Anita Mumm, teaching a class based on Stuart’s latest book, Finish Your Book in Three Drafts. Given how informational and motivational the class was, I would strongly recommend the book. Tummies and brains fed, we moved into simultaneous afternoon sessions, one on Indie Publishing and one on the path to Traditional Publishing. While I’m an indie author with seven published books, I attended the latter. 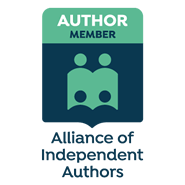 I really enjoy being an independent author and it was my choice to do so (in fact, I didn’t even consider traditional publishing for a very long time), but with a new series brewing in my head, I’m considering shopping around for an agent. Considering. I’m still undecided. The class was taught by Angie Hodapp of Nelson Literary Agency. Now, let me say that I’ve attended several of Angie’s classes and have never been disappointed. The woman is a genius and knows how to deliver a message. In fact, when I attend the Northern Colorado Writer’s Conference in May, you can bet I’ll be attending her classes there as well. The last session? Marketing. I tend to shudder when I say that word. Simply because if there’s one weakness I have in the writing life, it’s marketing. The session, however, was a treat! Successful, talented, and kind-hearted indie authors (Bernadette Marie, Lisa Manifold, Corinne O’Flynn, Nathan Lowell) and, again, the wonderful Angie Hodapp, shared in an entertaining, informative, attention-keeping manner the ins and outs of what has and has not worked for them. Social Media appears to be the most agreed upon success. To make it easy to find them, I’ve included the links to their websites. It’s well worth your time to check them out. And now…I’m back off to Camp to begin week three of revising book two, Abby’s Retribution, in my Whispering Pines series. The lanterns are lit, the bonfires are burning, and the campfire conversation is flowing. I think it’s time to break out the s’mores! One of the things that has come up in conversation with my cabinmates is setting goals and it got me thinking. Camp NaNo comes around twice a year and NaNoWriMo every November. I set goals for these months and more often than not meet them if for no other reason than I won’t allow myself not to. So why, oh why, do I struggle to meet writing goals the rest of the months? Granted, it’s not that I’m unproductive in my writing life. I have seven published books and belong to a few writer’s groups. But I could be so much more productive if I set goals and was determined to meet them as I am during the NaNo months. I’ve determined that as much of a blessing as electronics are, they’re equally a curse. It’s all too easy to hide behind a screen, whether it’s the computer or television screen, to “recover” from a long, hard day. Or to be mindlessly entertained. And to drag oneself away once settled in? Forget it. It has a vice-like grip. Some of my cabinmates have blogs that I’ll list here in case you want to visit them. You won’t be sorry. What about you–do you set goals, writing or otherwise? Are you more likely to meet them or not? If you do set goals, what goals do you have? I’d love to hear and will be checking in between writing sprints. Time to head back to Camp so I can meet my goal. Happy Reading, Happy Writing. Oh boy! I almost missed Women’s History Month. But it’s not too late. Technically, it doesn’t end until midnight tonight, March 31st. There are so many women who have made enormous steps forward in making women matter in society. That being said, each of us matters. Mary, Mother of Jesus – The perfect woman to have as a role model. Obedient, hard working, brave, and endured the most horrendous heartbreak with such grace and dignity. Jane Austen – A literary genius. She has six major novels – Pride and Prejudice; Sense and Sensibility; Persuasion; Mansfield Park; Northanger Abbey, and Emma, are classics. Female writers weren’t encouraged during the time Jane Austen wrote. Her dedication helped pave the way for future women writers. With Jane Austen listed as one of the women who made a difference to me, it’s not wonder that the movie The Jane Austen Book Club is one of my very favorites. Malala Yousafzai – Malala battled for girls’ rights after the Taliban attempted to assassinate her for trying to get education for herself and other girls. She was just 15 years old at the time. She’s published a books, among them, I Am Malala: The Girl Who Stood Up for Education and Was Shot by the Taliban and continues to advocate for equal rights. I don’t know about you, but at 15 years of age, I was still too worried about me to stand up for anything or anyone! What an impressive young lady! Mother Teresa – She was an Albanian nun who devoted her life to serving the poor and dying. She personally cared for thousands of sick and dying people in Calcutta and was awarded the Nobel Peace prize in 1979. Mother Teresa was all about love and being the hands and feet of Jesus on earth. Kathryn Stockett – An American novelist who’s journey continues to give me hope in my own writing. Her debut novel, The Help, was rejected by 60 literary agents before one finally accepted! It’s a phenomenal book and I would highly recommend it. Her tenacity is beyond admirable. Barbara Bush – Wife of George H.W. Bush and First Lady from 1989 to 1993. She involved herself with literacy issues and worked with several different literacy organizations. After researching about the factors that contributed to illiteracy, she believed homelessness may have been connected and she strove to combat both. I always admired her for the roles she played as advocate, mother, and wife. My Mother, Bev Cielinski – This photo I took one evening, unbeknownst to her, as I walked past her bedroom door, says it all. She raised me with the values of faith and family, and taught me the value of hard, honest work. She taught me that when life was too hard to stand, to fall on my knees. It’s camping season again. Camp NaNoWriMo, that is. Fun with other writers in virtual cabins, brainstorming with each other, cheering one another on, virtual bonfires and s’mores, writing by lantern light…All the things to love about camping except pesky bugs. This session I’ll be working on editing and revising book two in my Whispering Pines mystery, Abby’s Retribution. I got a new position a little more than a year ago where I work, which has given me a more satisfying day job. But it came with a price. I have less time to spend on my passion of writing and less creative energy. That sacrifice makes the months of Camp NaNo (April and July) all the more important to me. Camp NaNo is a month of sheer writing bliss. You can set your own goals in increments of time (minutes, hours, etc. ), words, lines, or pages. You can write a new novel, a series of short stories, poetry, or revise a work-in-progress. Basically, anything goes. If you’re interested but still want to know more, you can go to the website. If you decide you want to participate, go to the website, create your project, shoot me your user name, and I’ll send you an invite to my cabin. You can’t think yourself out of a writing block. You have to write yourself out of a thinking block. Have you ever declared some time off, regardless of what other people think or do? It’s called being true to yourself and is one of the best things you can do for yourself and everyone else in your life. In the writing world there are numerous beliefs. One widely held belief is that we “must” write every day. Another is that in order to be successful in the blogging world, one “must” adhere to a schedule. While I believe both are important, I also believe they’re not the most important things. The MOST important is what is true for you. What fits in your life at this precise moment. I say that because our lives are fluid. Needs, priorities, available time, schedules…they all shift depending on the season you’re in at the moment. Heck, sometimes mine shift depending on the day. By trying to live someone else’s success or beliefs will only lead to struggle and burnout. I took an extended break the past month and am all the better and healthier for it. I didn’t write hardly anything at all on my WIP (work in progress) but that doesn’t mean I left the writing life. Ideas came and went, percolating into bigger ideas that I jotted down. But I didn’t take the time to flesh them out. I simply let them wander aimlessly to see which direction they wanted to go. I didn’t blog much, but that doesn’t mean I left it. I love the blogging community. It’s a place of online friendships and support that you can’t find anywhere else. And I’ve found peace with the fact that if I don’t blog every week, that’s okay. For me. I didn’t read any books on the craft but that doesn’t mean I didn’t read and learn. I simply read other things, some for shear enjoyment without any hidden agenda, but in some I loosely noted style and detail. What I did do is spend time nurturing family bonds. Growing relationships that are golden to me. I spent priceless time with my grandchildren, my grown children, and my extended family. I loved, cherished, enjoyed, and treasured every moment and will continue to do so. Every. Moment. I practiced living in the moment, keeping my mind completely present, rather than distracted by what I “should” be doing. I lived fully, feeding my soul and my spirit. Because of that time “off”, busting out of routine, my writing life is again ready to roll. I’ve got plans to get my newsletter back on the road (if you’re interested in getting my newsletter, please email me and I’ll add you to my mailing list), I’ve submitted my project for the April session of Camp NaNoWriMo (revising book two in the Whispering Pines mystery, Abby’s Retribution), I’m signed up and ready to learn at the Northern Colorado Writer’s Conference in May, and a new mystery series is in the gestation phase. By taking a break I didn’t lose any time, I gained it. And I gained so much more! Do you ever go against what the majority believes to be true in order to be true to yourself? Nowhere does it say goals need to be set in January. In fact, it’s never too late to set goals. After all, today is the first day of the rest of your life. I spent some time this weekend reviewing my writing accomplishments from the past year and made some goals for 2019. Participated in Camp NaNoWriMo in both April and July, meeting my goal in both. Participated in NaNoWriMo in November and won by completing 50,000 words of a new novel in 30 days. Entered into an agreement with a narrator through ACX, making my Melanie Hogan Series available as an audio book. Thus far Shear Madness and Shear Deception are available. Attended the Colorado Gold Conference in Denver in September, spending three days fully immersed in all things writing. Completed the first draft of book two, Abby’s Retribution, in the Whispering Pines mysteries. Completed the first draft of book four, Shear Fear, in the Melanie Hogan mysteries. Had a creative non-fiction essay chosen to be published in an anthology, Colorado’s Emerging Writers (2018). Published book three in the Melanie Hogan mysteries, Shear Murder, on New Year’s Eve. Participate once again in Camp NaNoWriMo in both April and July; and, once again, meeting my goal. Attend the Northern Colorado Writers Conference in Ft. Collins, CO in May. Complete the project of finishing books three and four in the Melanie Hogan mysteries, Shear Malice and Shear Murder, in audio. Work on learning and implementing some marketing techniques. I’ve never been comfortable with marketing and it’s time to step out of my comfort zone and just do it. Teach a four to six-week creative writing class to kids ages 12-17. I’ve got the agenda and the location planned. I just need to schedule it. Submit a short story to the Colorado’s Emerging Writers 2019 anthology. Revise, edit, and publish book two in the Whispering Pines mystery. Whew! I’ve got some work ahead of me. Work that will require cutting down on TV time. Ready! Set! Go! Do you have any writing goals for 2019? I’d love to hear what they are.